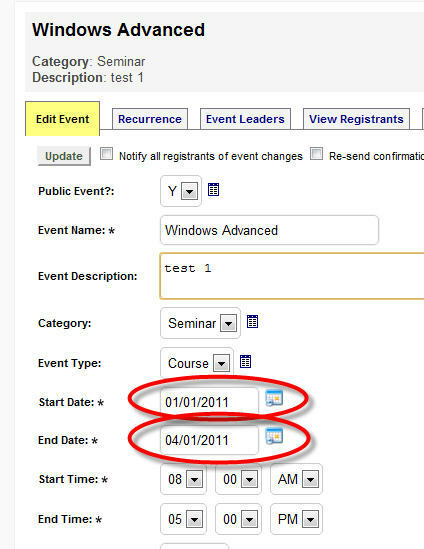 This displays add event form where you enter the details of your new event. Once you submit your event you can use the recurrence option to further specify what days the event should run on. At the bottom portion of the screen, the actual days that have been scheduled are displayed on the calendars. You have to option of making spcific changes to the scheduled dates by checking or un-checking the desired dates, then click the Save Selected Dates button. 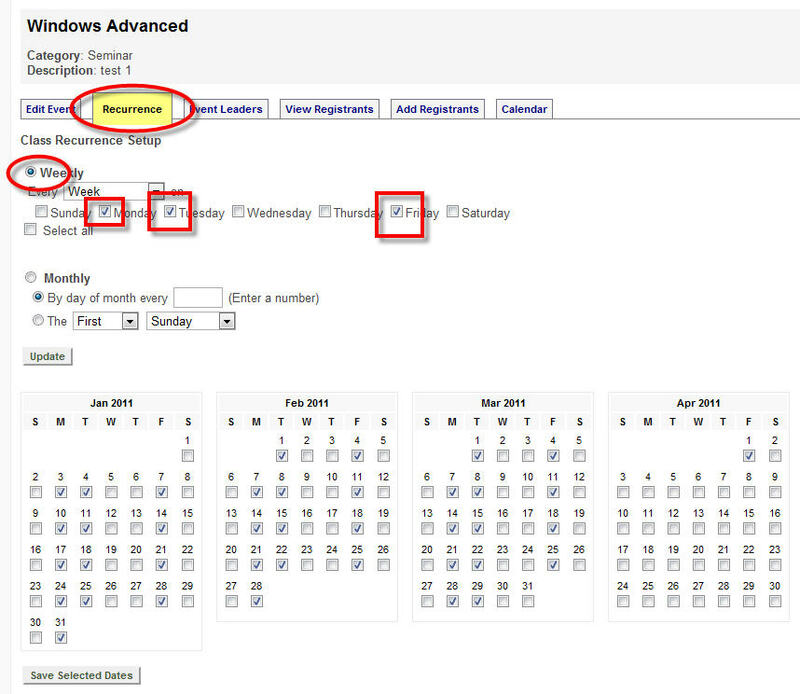 Using the Update button will reset the selected dates to the computer generated recurrence dates.